Go to Overview, and edit the node you want to contain the form. Place the cursor at the place where you want the form inserted. 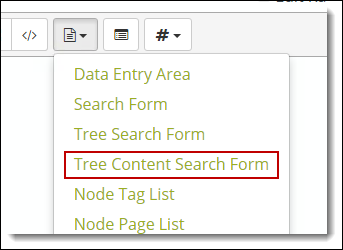 Click the Templates button in the Content editor, and select Tree Search Form. Search queries will match words in the tree titles, or tree tags. You can set both in the Settings tool. You can hide trees from Tree Search. In Settings, select “Hide Trees from Agent Portal and Search All”. Searches will examine ALL trees belonging to the same organization as the current tree. What are you waiting for? Try it live! Thanks to Elise and her team for suggesting this. Do you have any great ideas for Zingtree? Please share!